How much time do you waste each day trying to retrieve documents that you’ve filed months or years ago? If you’re having a hard time keeping track of your paperwork or finding the right spot for everyday essentials, such as books, old records, small appliances and tools or office supplies, consider using our five mobile drawer cabinet to keep your personal belongings secure and properly organized at all times. 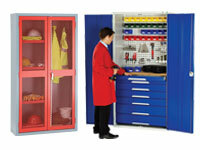 What Is the Purpose of Our Five Mobile Drawer Cabinet? 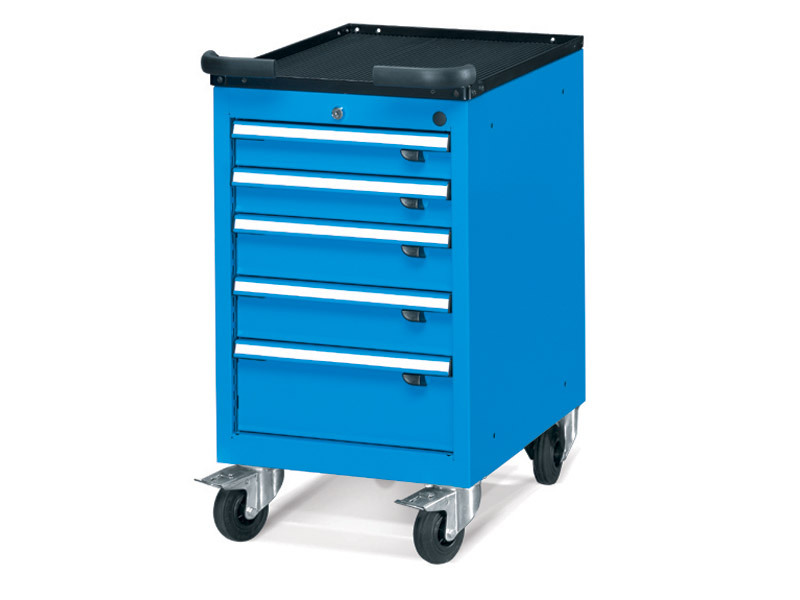 The 5 mobile drawer cabinet that we provide offers you plenty of space to organize and store your tools, gear and equipment with ease. The five different compartments put at your disposal give you the chance to keep similar items together and sort and prioritize your personal effects with minimum effort. As a plus, each drawer comes with an individual locker, designed to protect your contents 24/7 and discourage thieves. 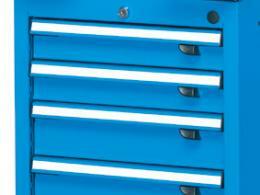 With a 900 kg capacity and a sturdy sheet steel construction, our five mobile drawer cabinets are suitable for a virtually endless list of applications. They can be added in different environments, including offices, workshops, stores, garages and households to enable their users to deposit their contents securely and conveniently onsite. The 2 fixed and the 2 braked swivel wheels make it easier for you to reposition the mobile cabinet, while the drawers designed to support a maximum weight of 50 kilograms offer you all the space you need to stash the things that you want to keep in or around your workspace. As a premium mobile storage solution, the five mobile drawer cabinet sold by The Workplace Depot is a versatile piece of furniture that can respond to the storage needs of a large category of potential buyers, including students, employees, homeowners and business owners. Available in blue, this elegant cabinet with five drawers is a stylish and practical organizing solution that you could implement at home or at the office. Its mobility, ideal dimensions- 920 (H) x 564 (W) x 675 (D (mm)- and standard drawer dimension- 2 x 75, 1 x 100, 1 x 150 (mm), turn this bestselling item into a convenient choice for households and office spaces in need of a flexible, space-saving storage alternative. 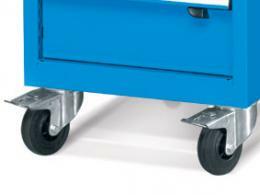 This product comes with a 1-year warranty on parts and labour and can be delivered to your door in 20 to 30 working days. Order this model today and make the most of free shipping and easy returns.